When my mom first mentioned to her Southern colleagues that I was at “boarding school,” they gave her looks of pity and probably wondered behind her back what I had done to deserve such a punishment. She had to explain to them that no, I was not a bad kid, and in fact I had chosen to attend a rigorous academic institution. The term “boarding school” conjures up different images, but there is sometimes a shocking disparity between these preconceived notions. People imagine boarding-school students as either troubled teens with serious disciplinary issues, or in a Gossip Girl style setting, full of glamour and snobbery. As actual members of this mythical group, we know this is not the case. Deerfield is not a disciplinary institution, and while many students do come from wealthy, privileged backgrounds and zip codes, we do not attend extravagant galas every weekend with champagne and cutting-edge couture. But how can we prove this, when there are so many misconceptions? The 2005 novel Prep, written by a Groton graduate, casts boarding schools in a distasteful light: the main character spends her four years feeling lonely and alienated in an elitist culture dominated by money, appearance, and social status. The author clearly has a lot of pent-up resentment about her own boarding school days, but many of her insights come off sounding whiney and merely enforce stereotypes. 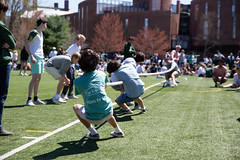 Television shows like Gossip Girl or NYC Prep have also not helped change boarding school’s image. While they both are set at private day schools, the world they represent, while entertaining, is not real. Once again, only stereotypes are reinforced and no real insights are revealed. When I leave Deerfield and go to college, are people going to immediately judge me once they find out I went to boarding school? Probably. And it is true, there are experiences related to leaving home at age fourteen that some of my college peers will not understand. 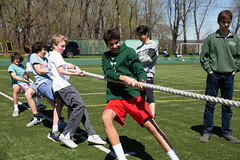 But when I try to explain my “days of glory” to them, what I will impart is not the stereotypical view of boarding school, but the unique traditions and connections that make up what may not be as successful a TV show, but are the truth. I hope I will find that the boarding-school experience is not unique and that people can relate to what we foster here. 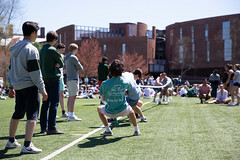 School spirit was not invented by Deerfield Academy. Neither was the importance of community, or the value of honor and integrity, or the ethic of hard work and intellectual stimulation. Loyalty and love for your close friends are not just a boarding school phenomenon. 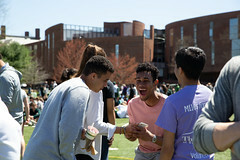 These are not harmful stereotypes—they are widely held, relatable ideals, and not just for a boarding-school community. Boarding school will probably always have a stigma attached to it. People will always question the ethics of sending kids away from home at a young age, or spending the cost of a college education on high school. But it would be worthwhile for people to let go of their outdated, disproportionate stereotypes and try to understand the diversity of mind, energy, ideals, and background that truly characterizes a boarding school experience.